Join us in a reminder of the highlights of 2018. 2018 goes away and the memories of what this past year has been, appear in our minds. We remember the highlights and the most important events for us. In January of 2018, we presented a furniture dossier, full of solutions for the interior designers. We introduced the book in digital format as well, making the navigation possible in an agile and intuitive way. 2. Zaragoza fair, space where we showed the latest news. In January of the past year, we went to the furniture fair of Zaragoza. A space os 100m2 where we showed the latest home furniture designs until that moment; sofas, armchairs and complements were shown. The furniture fair of Zaragoza has become a referent in the furniture sector. 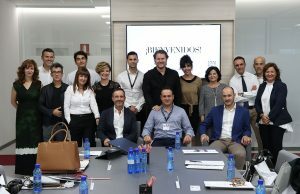 In April, took place an event in which sponsors, collaborators, hospitality professionals and political personalities met for a journey that we shared with the CODID (Official school of interior designers and decorators of Murcia). During this journey, we introduced the hospitality interior design contest InterCIDEC 2018. Corporate social responsibility as the principal objective of the competition. 4. 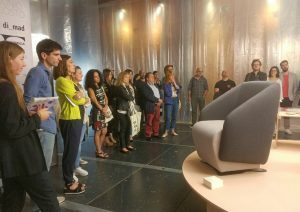 “Producto fresco”, Lily armchair presented to the public. 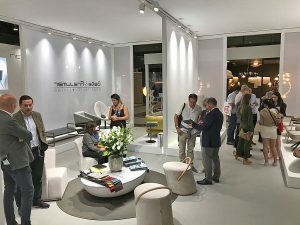 At the exposition of the “producto fresco” (fresh product), it was present, among other pieces, the Lily armchair, designed by DSIGNIO and manufactured by Beltá & Frajumar. A comfortable armchair that breaks the monotony, rounded lines to create soft shapes. 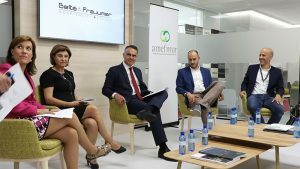 In September, AMEFMUR (Murcia Association of the family business), organised a meeting for young entrepreneurs in our facilities. This meeting was an opportunity for entrepreneurs to get to know each other better and learn from each other. 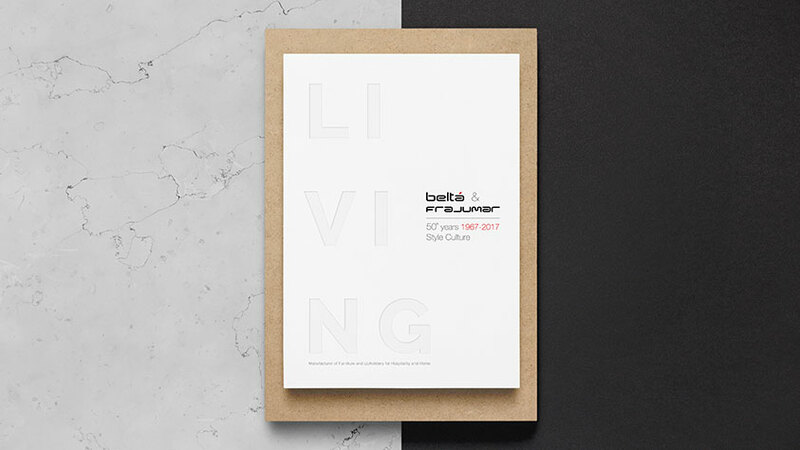 The assemblage consisted of the presentation of the company and the history of Beltá & Frajumar to the attendees. 6. 2×1. Yecla furniture fair and Hábitat Valencia Fair in the same week. The third week of September was a highlight moment of 2018 since that week took place two furniture fairs and we went to both of them. Two events in which we enjoyed and had the opportunity to know and be known. 7. We finally know the winners. The members of the jury meet at our facilities. October 2nd. 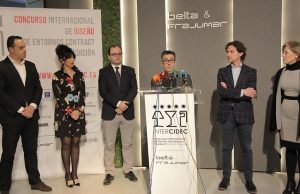 The InterCIDEC jury decided the projects winners of InterCIDEC 2018. Also, this day took place the chocolate activity with all the members of the jury. 8. Hospitality projects. Iberostar Paseo de Gracia. A luxury hotel in the centre of Barcelona. In 2018 we made a wide list of hospitality projects. 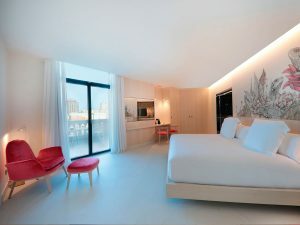 This Top 10 would not be complete without mentioning some of the projects carried out in 2018, and Iberostars Paseo de Gracia Hotel, in Barcelona is a great example. For this project, we made furniture such as armchairs, sofas, beds, tables, among others. 9. Everything about hotels interior design. Stand in InteriHotel with the latest news. 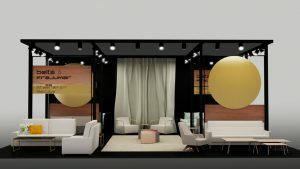 In October took place the fair where to find everything about hotels interior design: InteriHotel. One more year, we went to the hospitality furniture reference fair, in Barcelona. This time we presented for the event the winner project of InterCIDEC 2017, adapting it for the fair. To learn more about InteriHotel, click here. 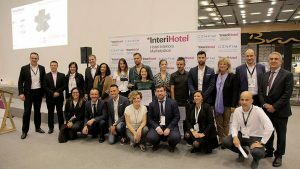 In Barcelona as well, in the frame of InteriHotel, took place the InterCIDEC 2018 award ceremony. There, we could know the developers of the winner projects, who explained their projects for the attendees in the ceremony. 10. Hospitality projects for a restaurant. Eat and Speak. This list wouldn’t be complete without mentioning one of the highlighted projects of 2018 for a restaurant, considering the next InterCIDEC contest is about a restaurant interior design. 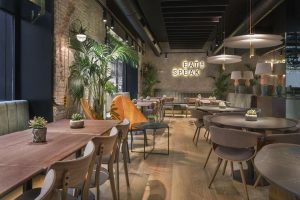 In this last position, but not less important, we have the Eat and Speak Restaurant, in Alicante. An interior design performed by Cáliz Vázquez Interiorismo. 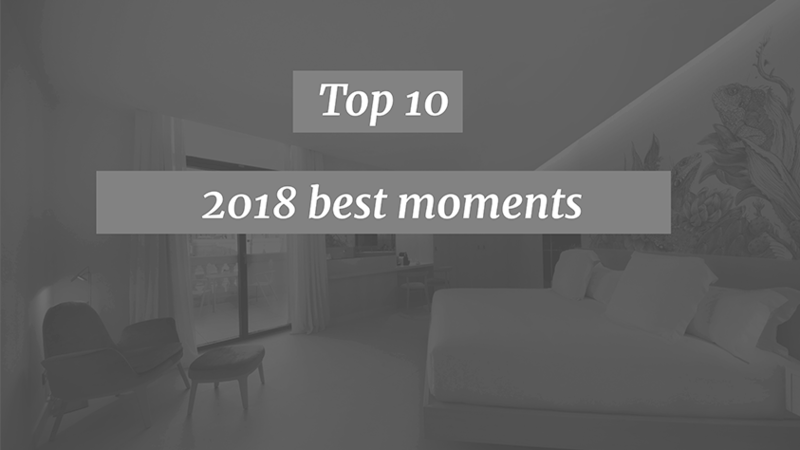 This list could be wider, but these ten moments are enough to remind the good moments of 2018. We are sure that 2019 will come with more projects, events and collaborations. Always more and better than the one before. Don’t forget to let us know what you’d like to know from us or what you would like us to tell along 2019.